Pin Mao, established in 1989, is a professional cosmetic packaging manufacturer and exporter. Due to customer's requests, we add hollow shaping and professional equipment for diversities of packaging for foods, drugs, chemicals, and cosmetics, etc. Obtained the ISO 9001, IS0 14001 international approvals for quality standard. 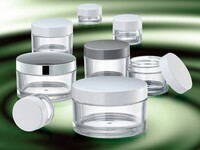 Pin Mao Plastic Industry Co., Ltd. has accumulated years of experience in manufacturing cosmetic packaging products. 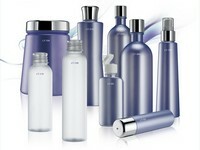 You can find all kind of plastic bottles, plastic jars, glass bottles and containers in our online products catalog. Besides, all packaging products can be custom designed to fit your needs. We sincerely welcome your suggestions and orders. Manufacturer of precision plastic containers for professional foods, drugs, chemicals, packaging and cosmetics companies around the world. The main products include cosmetic jars, emulsion bottles, cream jars & tubes, beauty spatulas, private label cosmetic bottles, aluminium cosmetic packaging jars, makeup cases, lipstick cases, sifter jars, ointment jars, airless bottles. Obtained the ISO international approvals for quality standard.